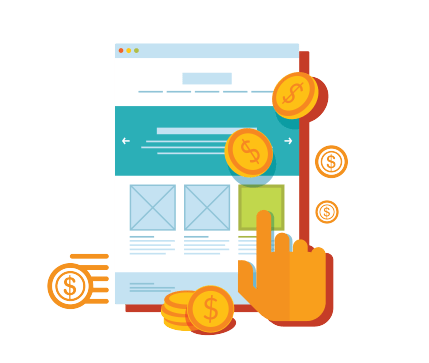 and drive revenue for our clients websites. Pay Per Click advertising in Sydney’s can be expensive. By improving your AdWords management, you can get a better return on your money. An active and ordered AdWords account helps you pay less for clicks. We make sure your keyword targeting is perfect in every one of your AdWords campaigns. Showing your ads to your target market will make your budget more efficient. Smart PPC advertising will give you a leg up on your competitors. We can help you get the most out of your online marketing. Be the best at PPC management in Sydney by joining a trusted Google Partner. You know your business best. We believe collaboration is the best approach for success. First, we learn your business model. Then, we discover what you’re best at. Finally, we find out what your goals are. With that knowledge, we create a campaign that will bring you success. Your conversion rates and click through rates will improve with proper PPC management. You can read more about our One Egg philosopy. We build a custom campaign strategy for the most relevant advertising networks. These include search engine networks, display networks, content discovery networks, remarketing, and paid social media. As digital marketers, data is the core of our SEM campaigns. We constantly optimise your ads in real time to ensure that you are always targeting the proper audience. Each member of our staff has worked for years in enterprise search marketing. Collectively, we’ve run hundreds of campaigns and have decades of experience. When you partner with us, you get to tap into our specialized expertise and leverage it to improve your business. We’re obsessed with tracking the data and using it to give you a crystal clear understanding of your results. We track every form submission, phone call, download, click, page view, and anything else that helps you know how your customers are engaging with your marketing efforts. We do all the heavy lifting when it comes to setting up your analytics. You get the benefit of precise, understandable reports that will inform your digital strategy. We keep our overhead low, so you don’t have to pay exorbitant fees. We make sure your marketing spend goes exactly to that—marketing. No need to worry about ridiculous margins. Your budget goes to expanding the reach of your business, not funding corporate parties for us. The great thing about SEM is that we can set clear and defined budgets. Most SEM platforms use a CPC model. This allows us to decide the best bids and budget for our strategy. The platforms give us a lot of control over the budget. We can fit our strategy to your budget. No. We prefer to be accountable for our work. Our agreement is “at-will” on a monthly basis. We will continually prove the value we bring you. This model makes sure we stay accountable to you. Will I Only Show on Google? After we understand your goals, we will build a tailored strategy based on our experience and your business model. Part of this strategy will be choosing which advertising platform is best for targeting your audience. We will likely suggest more platforms than just Google AdWords. Team up with One Egg to deliver scalable and innovative search marketing services that fulfill your needs.Call us on ☎️ 1300 490 147 or fill the form on the right.